Arribe Fishing has introduced its new 1200 Lever Drag, a gleaming red beauty so advanced, smooth, powerful and durable, it ushers in a new class of tackle – the “Performance Reel.” Unlike top-of-the-line models from other manufacturers that deliver in some areas but fall short in others, the Arribe 1200 incorporates all of the key characteristics serious anglers are looking for in a saltwater reel. Meticulously designed inside and out to help you land more and bigger fish, the Arribe 1200 is like no other lever drag on the market today. It integrates tight, crisp operation, an ultra-smooth, consistent drag, unsurpassed strength and integrity, a superior anti-reverse, outstanding castability and unmatched durability into one seamless system. Hold a 1200 in your hand and you will immediately notice this reel’s solid yet lightweight construction and extremely tight tolerances. Every component has been carefully selected to stand up to tackle-testing game fish and regular use in the harshest marine environments. 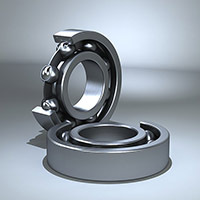 It all translates into a reel you can count on to perform flawlessly during the heat of battle, and over the long haul. 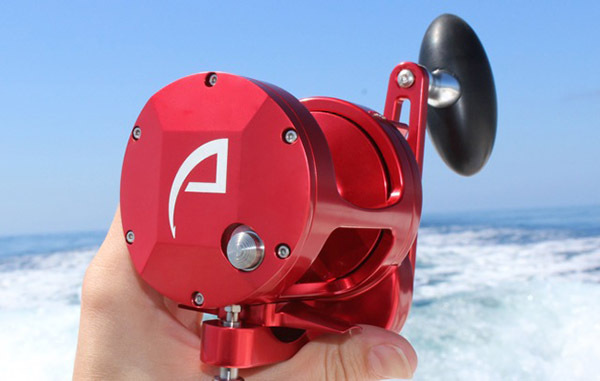 According to Arribe Fishing’s CTO Danny Uribe, a general lack of advancement and innovation in the tackle industry inspired him to design and build a better reel. Every material used in the construction of Arribe’s 1200 is either inherently non-corrosive or protected with a corrosion-resistant coating. The 1200’s rugged frame, carved from heat-treated billet aluminum and tightly secured with titanium screws into stainless steel helicoil inserts, is built to withstand extreme torque and protect the inner workings of the reel. Housed within this bullet-proof exterior are nine strategically positioned, high-precision SKF ball bearings that work together to ensure smooth operation and long, trouble-free casts. For unsurpassed fish-fighting power, the 1200 is equipped with an advanced IsoDrive™ Gear System comprised of oversized, heat-treated 7075-T6 aluminum gears, each one featuring a mil-spec coating that makes the surface as hard as diamonds. Actually, to call these gears “oversized” is an understatement. The contact surfaces are at least 1/3 larger than those of competitive reels. The 1200’s gears are also designed to remain perfectly aligned at all times, and mesh together with incredible precision, even under the heaviest loads. In addition to providing maximum power, this gearing allows for a blazing 6:1 gear ratio that brings in 42 inches of line with every crank, ideal for keeping up with saltwater speedsters or working lures that require a fast retrieve. While all of the components used in the construction of the Arribe 1200 are exceptionally strong and durable, the unique composition and machining of every part, along with the stripping away of all excess materials, makes this reel exceptionally light. So, even though the 1200 boasts larger, beefier gears and stronger internal parts than any competitive reel, it weighs just 17 ounces. That means you’ll be able to fish all day without experiencing the slightest bit of fatigue. When you hook up, count on the Arribe 1200 to deliver the smooth, constant drag pressure needed to handle the sustained runs of tuna, billfish, wahoo, king mackerel, tarpon and other hard-fighting saltwater game fish. Arribe’s patent-pending ProTactive™ Drag System uses Ballard carbon fiber materials against highly polished titanium plates to supply superior fish-stopping power throughout the duration of every fight. The system’s smooth mating surface dissipates heat rapidly to provide reliable, consistent drag at all times and prevent any sudden pressure changes that can result in a lost fish. The Arribe 1200 is designed for unmatched castability as well, allowing you to reach even distant schools of feeding game fish with ease and accuracy. The 1200’s lightweight spool works in tandem with the reel’s SKF bearings to quickly overcome start-up inertia and maximize spool RPMs for significantly longer casts. Whether you’re throwing jigs or casting live baits, you’ll be able to put your offering smack in the middle of the strike zone every time. 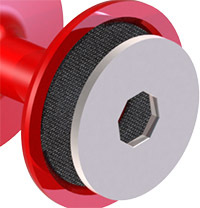 Arribe has also equipped the 1200 with a fail-safe IAR (Instant Anti-Reverse) system for positive drive gear performance. 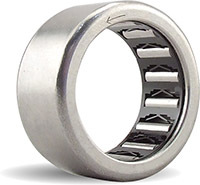 Dual SKF anti-reverse bearings help manage the interaction of the reel’s moving parts, assuring reliable operation and virtually eliminating handle play. The new Arribe 1200 Lever Drag Reel retails for $779 (including shipping/handling within the U.S.) and is available for purchase now, online, at www.arribefishing.com. Every Arribe 1200 is backed by a five-year limited warranty.